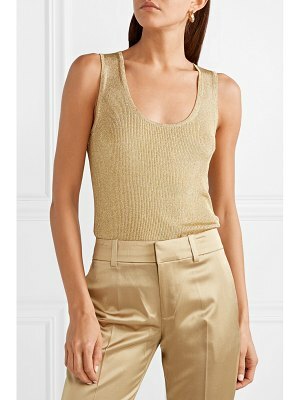 Opening Ceremony stretch crepe tank. Approx. 18.5"L from shoulder to hem. 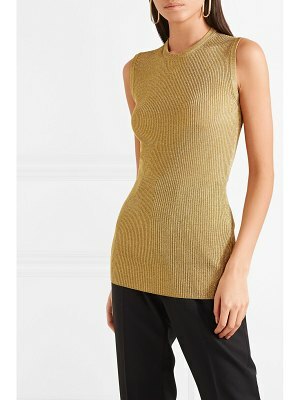 Scoop neckline; racerback. Thin shoulder straps. Ladder stitching through center. Ruffle detail at sides. Relaxed fit. Rayon/polyester. Imported.